Last year we spend considerable amount of time building the new version of our robotics vehicle. 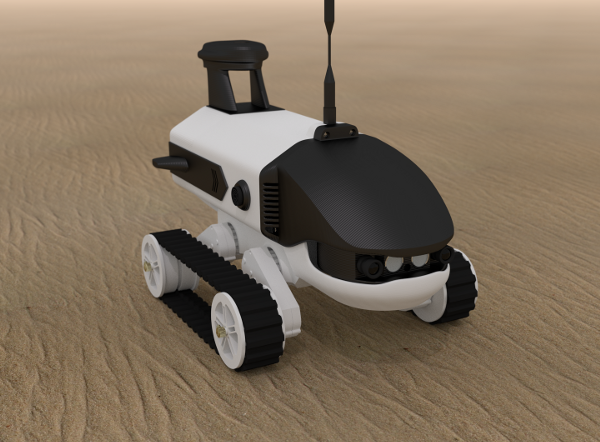 Here is the result - the small tracked vehicle which might be interesting for researchers in robotics, AI, computer vision as well as for DIY enthusiasts. All the CAD models, assembling instructions and software are open source. We are using Dagu's tracked chassis. The body of the vehicle is 3D printed. The BeagleBoard-xM is used as on-board computer to control wide range of sensors (such as ultrasonic range finders, compass, cameras, etc.). If you are interested, please check out our web-site for more details.